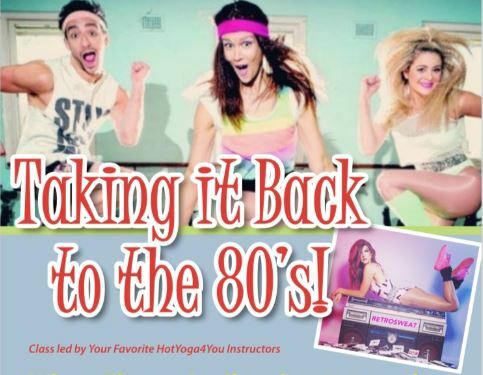 Join us for Taking it Back to the 80s!, led by your favorite HotYoga4You instructors! Room temperature will be lowered. Best costume prizes. 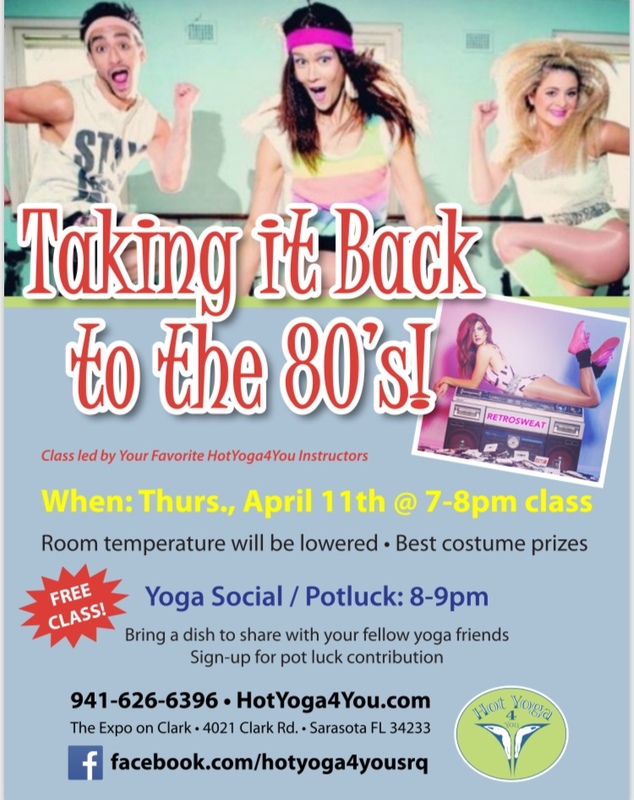 Afterwards, stick around for the Hot Yoga social potluck from 8-9pm. Bring a dish to share with your fellow Hot Yoga friends. Sign-up for potluck contribution.